The beautiful and strange debut from Zambian-born Wales-raised writer/director Rungano Nyoni is an African satire about beliefs in sorcery, revolving around a young girl who is accused of being a witch. After having the gross misfortune to witness a minor accident in her village, 9-year-old Shula (Maggie Mulubwa) is branded a witch, sent to a camp amongst much older women and given two options: she can accept her new label and live the rest of her life tethered to a white ribbon, or get turned into a goat if she seeks justice and freedom. Is it worth risking it all? 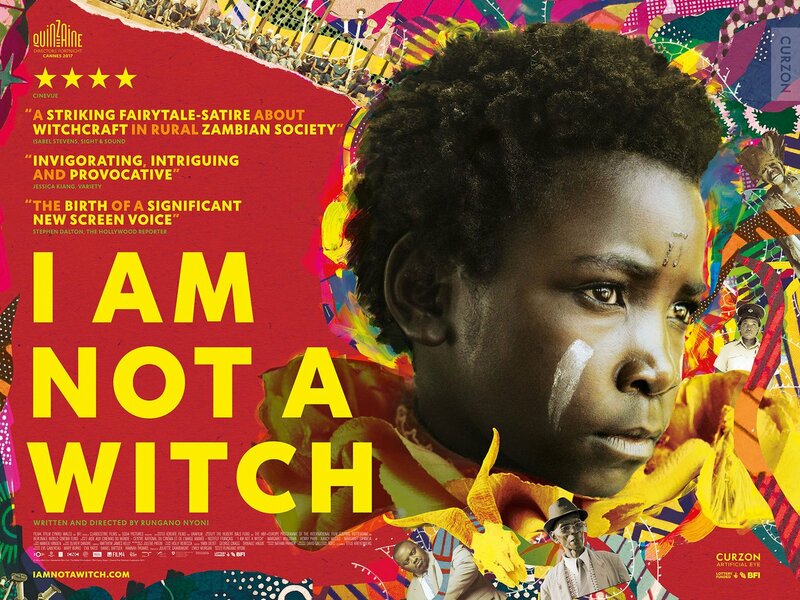 A fiercely original blend of social comment, folklore, magical realism and gorgeous visuals (from Embrace of the Serpent cinematographer David Gallego), I Am Not A Witch is also a rallying cry against the treatment of women in patriarchal societies around the world. A great debut from a talent to watch. Tickets £7 in advance or on the door– go to fund our free film festival in September.